Emily DeSerio has been a freelance writer since November 2009. DeSerio works in the mental health field as a clinical social worker. She began her higher level education at the University of South Florida (USF) with a B.A. in English and went on to complete a Master of Social Work degree at USF as well. The American Rhinologic Society defines a sinus cyst, or nasal polyp, as small non-cancerous growths in the sinuses. Sinus cysts can cause minor to severe nasal obstruction leading to conditions such as chronic sinusitis or chronic post-nasal drip. Various treatments are available depending on the severity of the sinus cysts. A person should talk with a doctor before taking any medication. The main objective of treatment for a sinus cyst is to shrink and completely eliminate the polyps, according to MayoClinic.com. In some cases, decreasing the size of the polyps is sufficient to restore proper breathing and nasal discharge. Treatment for a sinus cyst also focuses on treating disorders that cause nasal inflammation such as allergies. According to the National Library of Medicine, the three common types of medication used to treat a sinus cyst are nasal steroid sprays, corticosteroid oral medication and antibiotics. 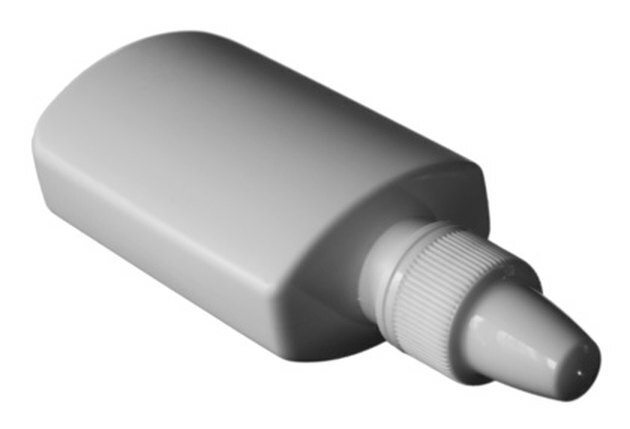 Nasal steroid sprays are used to treat and prevent nasal irritation but are only effective if used consistently. Oral corticosteroids may be used if a nasal steroid spray is ineffective, according to MayoClinic.com. Antibiotics are used to treat a bacterial sinus infection due to nasal obstruction. Polypectomy and endoscopic sinus surgery are the two types of surgical treatment for sinus cysts, according to MayoClinic.com. Tiny cysts are surgically removed using an instrument that cuts the polyps away and then vacuums it out of the nose, a procedure called polypectomy. Endoscopic surgery identifies the different polyps that are causing chronic sinusitis and helps correct structural issues while removing the cysts. The American Rhinologic Society states that both procedures are typically performed as outpatient surgery and most people experience a 90 percent improvement after the surgery. The most common complications of sinus cyst surgery are bleeding and the recurrence of polyps, according to the National Library of Medicine. To avoid a recurrence, a doctor may recommend using a nasal steroid treatment after surgery. A person can avoid sinus cyst surgery by using preventative measures. MayoClinic.com says that a person should manage allergies by avoiding irritants and using antihistamines. People who are more prone to nasal polyps should wash their hands as often as possible to avoid infections in the sinuses. Using a humidifier in the home and using a sinus wash regularly may also be helpful.